One strategy for bringing more climate-responsive and responsible protein purchasing into institutional foodservice settings is whole animal purchasing. 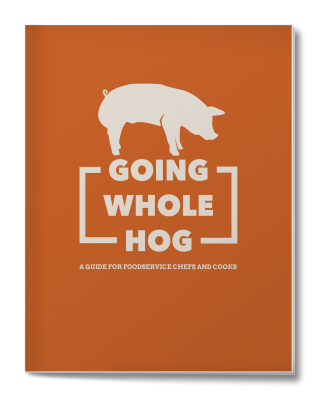 This guide, designed in partnership with the NW Food Buyers’ Alliance, provides tips and considerations for purchasing and utilizing a whole hog. The process and recommendations here are modeled on a creative approach first championed by Portland and San Francisco meat distributor Corfini Gourmet, Pure Country Pork in Ephrata, WA, and several adventurous chefs.